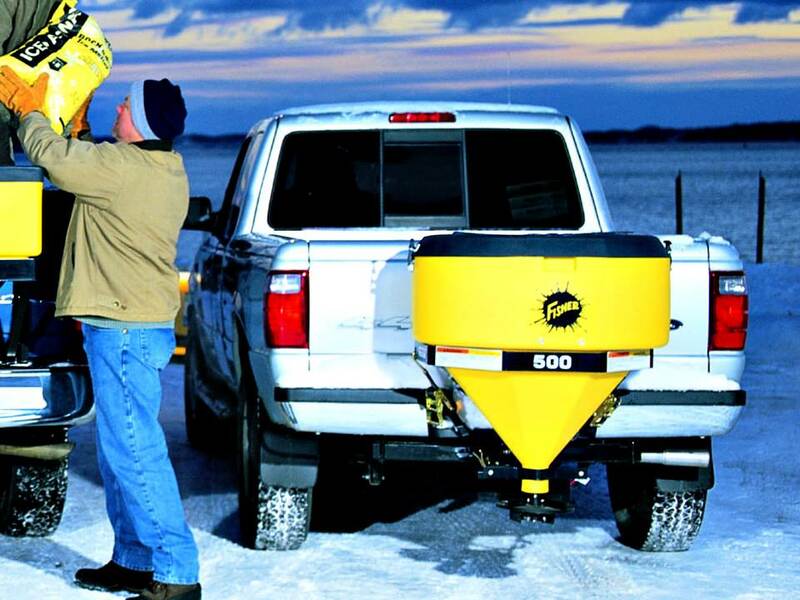 Designed for ice cold reliability, the FISHER® Low Profile tailgate spreaders provide a clear view from the cab when backing up. Perfect for spreading #1 rock salt, calcium chloride and other de-icing materials, these single-stage tailgate spreaders provide visibly better performance in an operator-friendly package. Features a durable 10" polyurethane spinner that delivers a spread pattern of up to 30'. 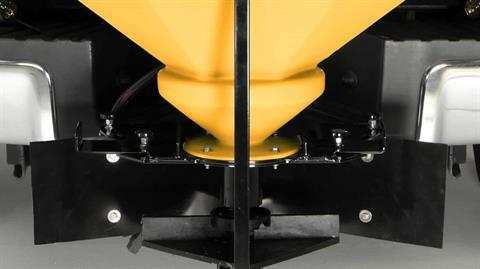 The Model 500 tailgate spreader comes standard with a Class III receiver hitch mount. A steel top screen helps break up large chunks of de-icing material during the loading process to prevent clogging and bridging during spreader operation. It is available as an accessory on all models. 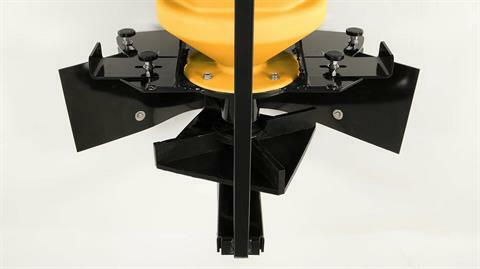 Ratchet straps are provided standard for additional spreader stability on the Model 500. 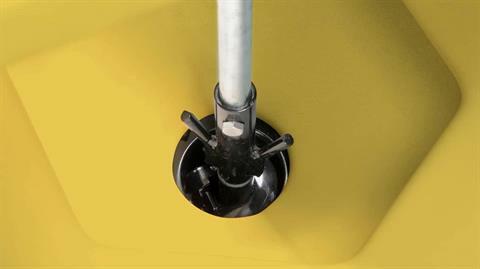 Dimensions Overall (LxWxH): 21" x 39" x 34"
Auger (Diam. x Length): 2.63" x 6"